Episode #225 – You Are A Habit – Is it Good Habit or a Bad Habit? Being consistent can be very hard. Being consistent can be very easy. It’s the same concept as habits are easy to form – it’s just that we have both good habits and bad habits. Review your day. What did you do consistently? What did you do today that you did yesterday, the day before, the week before, etc. This is who you are. You are that habit you consistently perform. And remember we already said there are good habits and bad habits! Now think about our inspiration for today. You are what you do consistently! If you have a bad habit in your life and you do it over and over, consistently… that is what you are! What does you social marketing say about you? I mean, what does it really say? If you don’t have interaction or followers is it because you consistently your content is lame? Are you sporadic at posting your lame content? There is a direct relationship. It’s the same as eating too many cookies and being overweight if you consistently post great content you’ll have lots of engaged fans! You need to eat the veggies. OR you need to exercise every day. OR you need to go to bed early. OR you need to create interesting content that your audience needs. 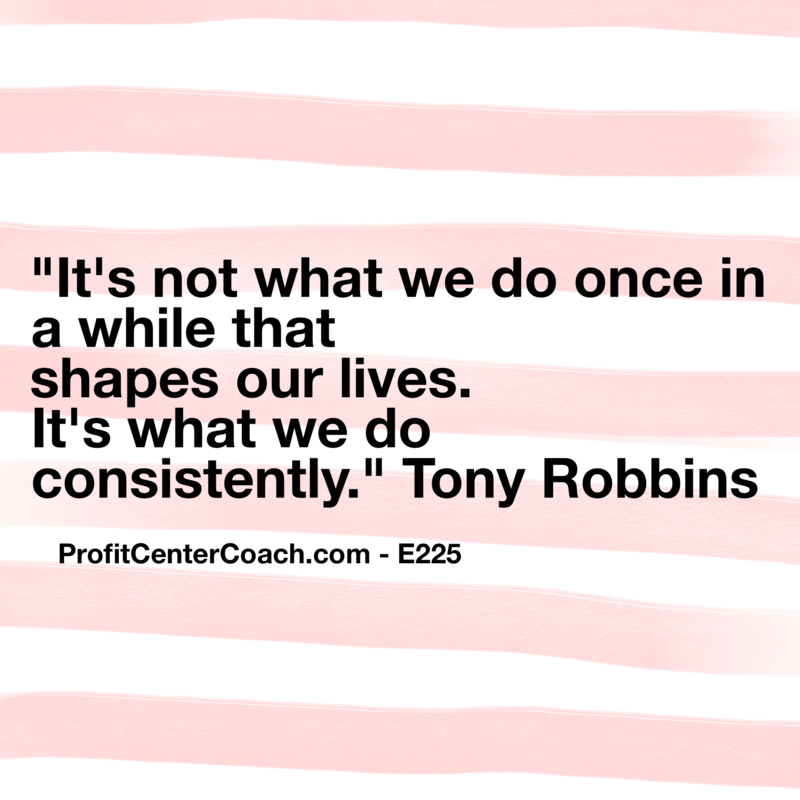 When you make the mental shift to being consistent in your content it will shape your life. This life shift is vital to the success of your Infinity Marketing Machine. The ability to create and keep your audience takes effort on your part, but as marketing shifts from “one and done” to “infinity customers” you need to look at content creation as becoming your own media company. It’s like you become a magazine, TV, or radio station. You push out information but the super cool thing is YOU control the message! YOU get to decide how to brand your business by what information you provide to your customers. You must accept that consistency is the best way to make this happen. Would you ever buy a subscription to a magazine that was sent to you three days in a row then in 5 days, and a week after that, then a month later, followed by six days in a row. NO… you would cancel that subscription. Well… Think about what your content says about your company. Do you post irregularly, and what reflection does that have on your business? 1- Decide to be consistent. 2- Create you post(s) for this week at least 12 hours ahead of when you post. Then post them at the same time on the clock each time! Build your habit!